David Rockwell designed the interiors for the Oscars green room at the Dolby Theatre in Los Angeles. Features included a life-sized Oscar statuette at the entryway, light grey oak chevron wood flooring and a feature wall with off-white Venetian plaster finish and displays photographs of films from the Academy of Motion Picture Arts and Sciences (AMPAS) archives, co-curated by Oscar-winning actress Susan Sarandon and David Rockwell. Milan-based consultancy Alquimia WRG has designed the HaiQ app, which aims to ‘rescue and entertain’ creatives. The app randomly selects Instagram pictures taken in the surroundings and ‘proposes an enlightened vision on the things around us’ by adding an inspirational thought, based on the idea of ancient Japanese haikus. 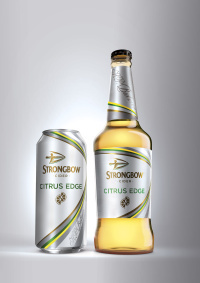 Bulletproof has designed the packaging for Strongbow cider’s new Citrus Edge variant, a cider cut with lemon and lime. the designs are ‘modern, yet masculine’, according to Bulletproof. The consultancy rebranded Strongbow in 2012. Manchester-based digital consultancy Bliss has produced a global app for Umbro to ‘celebrate great goals’. The app encourages players to upload videos of themselves or their friends scoring a goal which is then judged by World Cup winner and former Brazilian international Roberto Carlos. The five best goal scorers will be flown to Brazil to meet Carlos. 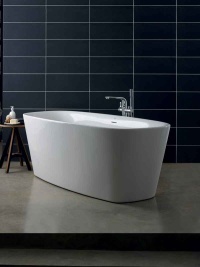 Seymourpowell has designed a new luxury bathroom range for Ideal Standard. The Dea range aims to ‘combine beautiful style and design with solid functionality and ease of use’, says the consultancy. Netherlands-based consultancy Cartils has been appointed as design partner for Italian water brand Acqua Panna. 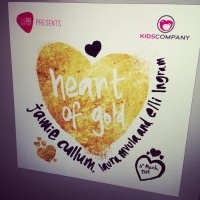 Ave Design has created the event identity and print materials for The Gig Company’s Heart Of Gold fundraiser for charity Kids Company. The Jerwood Gallery in Hastings has redesigned its café, with a new look by local consultancies 44th Hill, Hastings & Bexhill Wood Recycling and Philip Oakley Illuminations inspired by the gallery’s coastal site. Dark walls aim to reflect the surrounding fishermans’ net huts and external tiles which clad the gallery; and wooden tables feature a herringbone design to reflect the fish and the boats on the fishing beach. Holmes Wood has designed a series of wayfinding installations for Birmingham shopping centre The Mailbox. These include a 4.5m-tall doorway and lamp, which will be used throughout the year as canvases for art and cultural campaigns. Cambridge-based consultancy Igentics has designed a new website for The UK Creative Industries, which provides statistics, case studies and news on the UK’s creative industries. Brown Studio has designed the interiors of the new Warehouse flagship on London’s Oxford Street. The look and feel is inspired by ‘the converted warehouses of New York’s Meat Packing district and Soho’, says the consultancy, and features exposed brick walls and rough rendered panels; and a staircase of metal, poured concrete and back-lit glass. Motion graphics consultancy FullScream has created idents for Sky Cinema Oscar, a film channel showing Oscar-awarded films. You can view the work here. 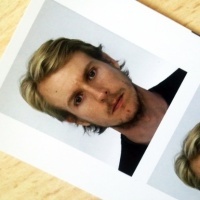 FullScream has just opened its firth London office, expanding its former from Milan. Blacksheep has designed the interiors for Red’s True Barbecue restaurant and bar in Manchester. The look and feel aims to reflect ‘traditional American low n slow style barbecuing’, says Blacksheep. Designer Sarah Hyndman is taking her Type Tasting venture to the South by Southwest (SXSW) festival in Texas, America this weekend, running a day long ‘Global Lettering Workshop’. Case studies used at the session include how typography and signage can reveal details about an area, based on Dalston in east London. A Behaviour Changing (ABC) Syringe, developed by Dr. David Swann from the University of Huddersfield, has won the World Design Impact Prize, which ‘recognises excellence and diverse ways of addressing societal challenges.’ The ABC Syringe is an intelligent label that provides an easy way to recognise which syringes have been used and which have not; aiming to cut down on the spread of infection of diseases such as HIV. The Workroom has designed a new campaign for National Bingo Game from the NBGA (National Bingo Game Association). 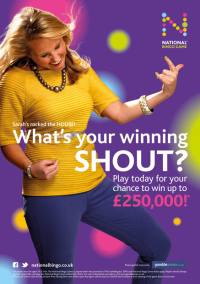 The campaign is based on the idea SHOUT, showing ‘what makes a Winning Shout pose’, such as that used by athlete Usain Bolt. DewGibbons + Partners has designed new packaging for Pure, Waitrose’s own-label beauty range. The new designs use floral patterns by fabric and wallpaper designer Sabine Reinhart and a ‘simple and understated’ logo and typography, according to the consultancy. Consultancy IncrediBull has rebranded US company NCR, which runs global transactions. At the core of the refreshed identity is work created by Saul Bass, who devised the NCR logo back in 1996. Liverpool-based consultancy Liquid has refreshed the identity for Cabfind.com, which sells transport management software solutions and manages the private hire transport needs of corporate clients and the public sector. The new brand features an abstracted globe, ‘which is given dynamism and movement by four curved lines,’ says Liquid. Martin Dawe Brand Design has created new packaging and branding for Musgraves sandwich range. 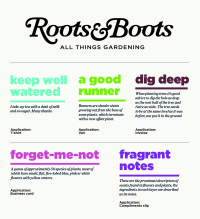 The new packs feature food imagery and copywriting by Monique Holtman, with buzzwords such as ‘fluffy’, ‘tasty’ and ‘fresh’. 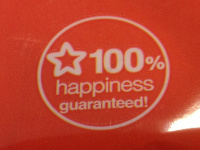 Do we want happy, vacuous brands?